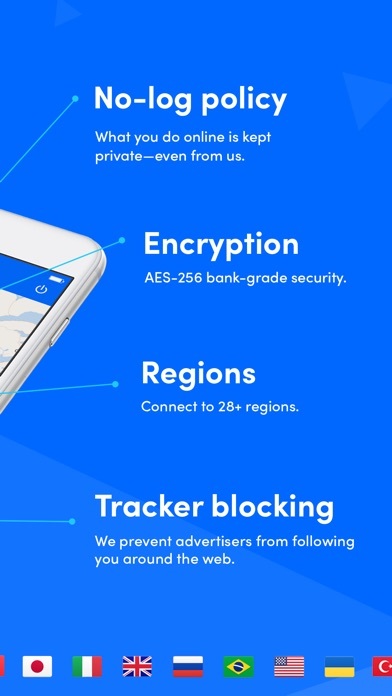 SurfEasy VPN is the world’s most trusted security and privacy VPN. Our ultra-fast, no-log network encrypts your data and means you can browse the web securely even on public WiFi, without any loss of speed, and without even us knowing what you’re doing. 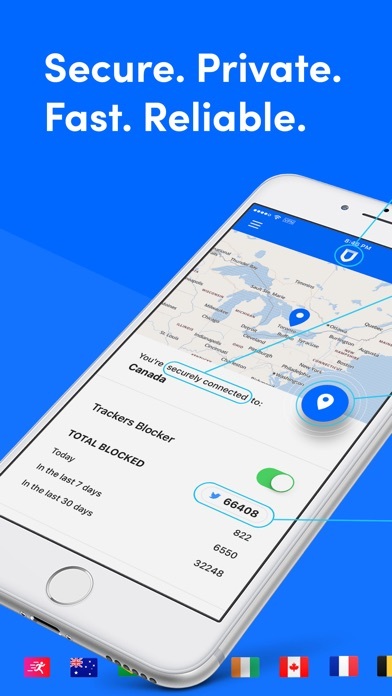 SurfEasy VPN allows you to hide your IP address. It prevents others from knowing what you do online and lets you browse anonymously without being tracked. 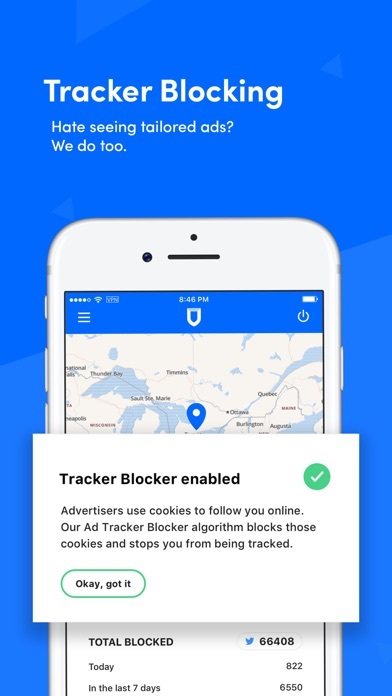 Our tracker blocking algorithm blocks tracking cookies used by advertisers to follow you online, giving you a private and peaceful browsing experience. 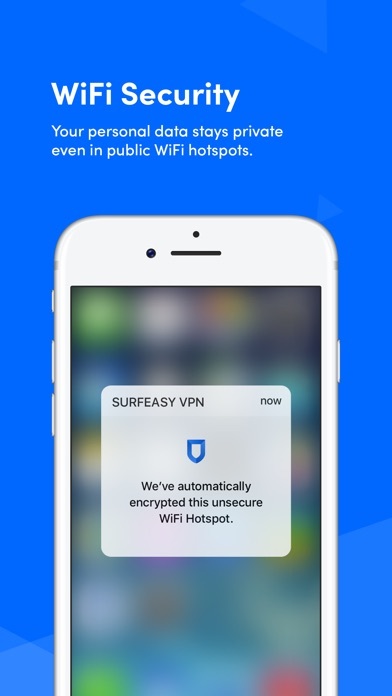 Protect your privacy and personal data when connected to public WiFi hotspots with SurfEasy VPN. We strive to be the best—and to make your life easier. Our support team is on hand to help you with any queries or questions. 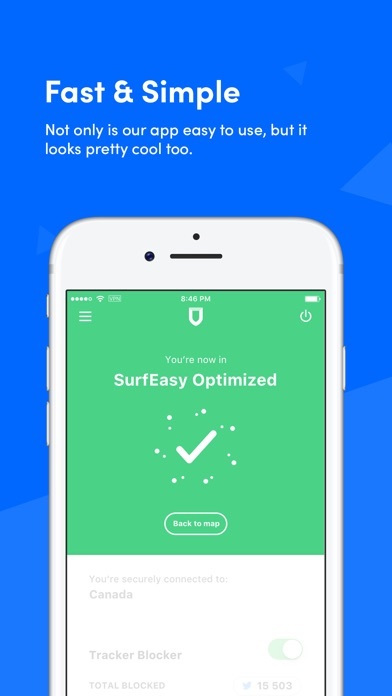 Download the SurfEasy VPN to access websites and apps securely! The starter plan is free of charge and includes 250 MB of data privacy. ► The free trial period lasts for 7 days. ► Once the trial period has finished, the length of the subscription will be 1 month. ►Payment will be charged to your iTunes account at confirmation of purchase. The subscription will automatically renew at $17.99/a month unless the subscription is cancelled through App Store Account Settings at least 24 hours before the end of the current billing period. Your account will be charged for renewal within 24 hours prior to the end of the current period. You can manage your subscription and turn off auto-renewal through your Account Settings after purchase. by Nanjing five Media Co., Ltd.
by Nanjing Aipi Network Technology Co., Ltd.
by Jiangsu Hongma Technology Co.,Ltd. by NEWBREED NETWORK PTE. LTD.
by Sapling Growth Technology Co., Ltd.